FINCA is alleviating poverty through microfinance and social enterprises. At FINCA, we prefer an approach that is sustainable and empowering. Our work is guided by a commitment to market-based solutions, and a belief in the inherent resources and strengths of those living in poverty to pursue and achieve their dreams. Sometimes these dreams can seem modest, such as fixing a leaking roof or ensuring that a child has books for school. Often FINCA clients have bigger dreams, including building small businesses that create jobs and improve livelihoods. For many of these individuals, access to financial services is the gateway to realizing their dreams. Low-income households use microfinance to earn more, build assets and cushion themselves from external shocks. With increased income, they also invest in better nutrition, housing, health care and education. Our activities in the financial services sector are carried out by FINCA Impact Finance, a global network of 20 microfinance institutions and banks. 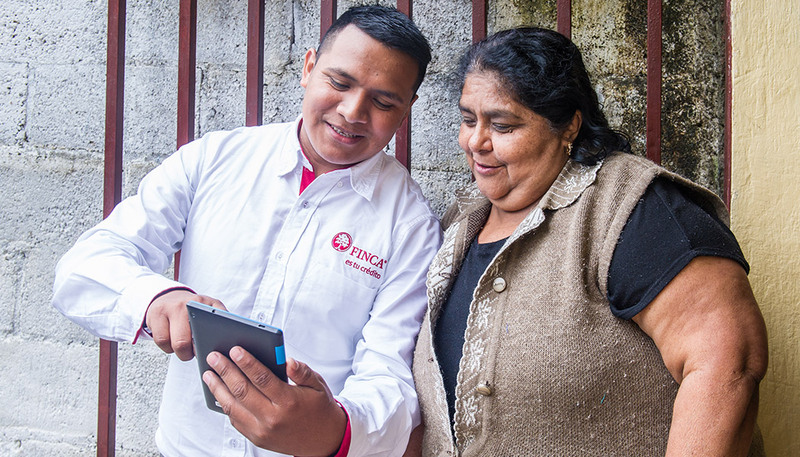 Carlos, a FINCA credit officer in Guatemala, reviews loan information using a digital tablet with his client, Engracia. In addition to financial services, the world’s poor has a right to life-enhancing products that save them time and money, and make them healthier, more resilient and empowered. By supporting the rise of social enterprises, FINCA is enabling access to high-quality and extremely affordable products. These include solar home systems, improved cookstoves, water filtration devices and much more. Through our BrightLife program, we partner with best-in-class manufacturers to provide last-mile distribution and end-user financing for essential products. Through FINCA Ventures, we offer patient capital and technical assistance to help grow and scale early-stage social enterprises. Both of these programs, along with microfinance, give low-income people the tools they need to succeed. 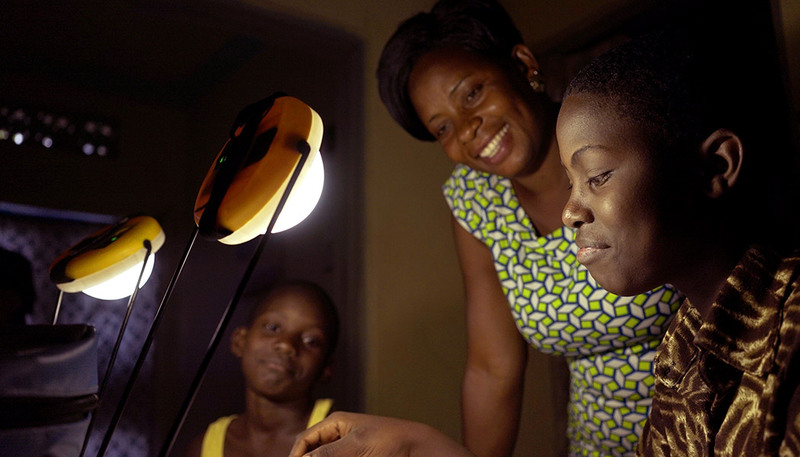 A family using solar lanterns through our BrightLife program in Uganda. Ultimately, all of these initiatives lead to a better quality of life – not just for our clients; but for their children, their families, their employees and their communities.